Large cavity fits a 12” pizza and 6 slices of toast. 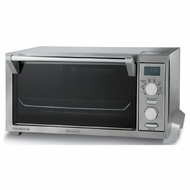 Multi-function oven lets you bake, broil, toast, keep warm, convection fan/bake, defrost, pizza and dehydrate. View the entire cooking process with the interior light. Easy-to-clean with enamel interior and slide out crumb tray. 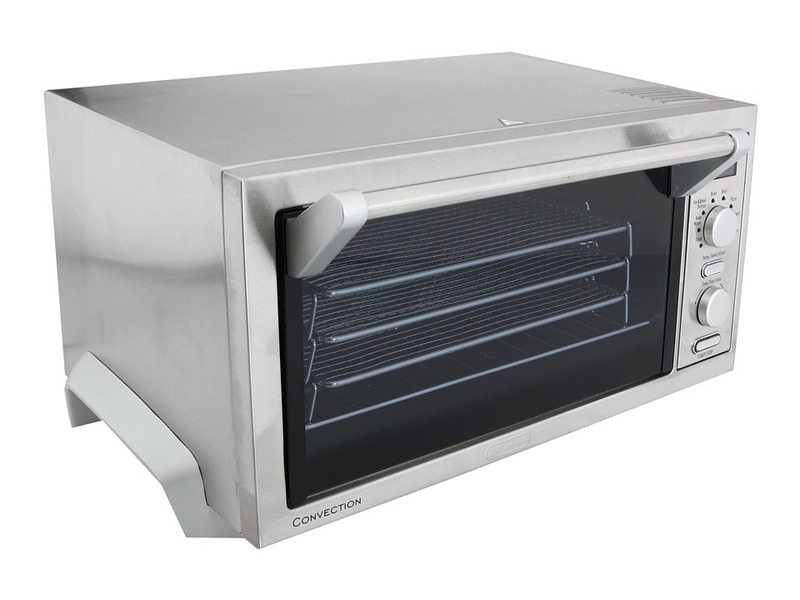 Cooks food 30-40% faster with convection compared to traditional ovens. Convenient pre-programmed pizza and toast settings. Easy-to-use digital controls and thermostat with LCD display. 120-minute timer with automatic shut-off for toast. Accessories include bake pan, broil tray and 2 cookie sheets.